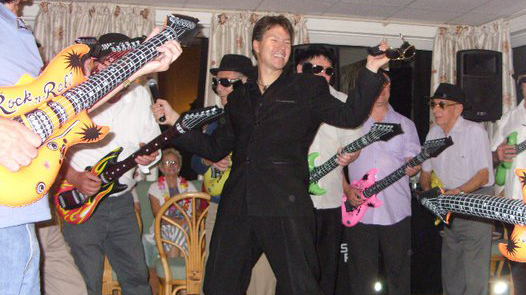 Described as ‘truly amazing’ and ‘simply awesome’ by customers, Simon delivers a unique and memorable performance which will get your party going and leave you with an unforgettable experience. He’ll have you and your guests up dancing and singing in no time. Simon is an energetic and charismatic entertainer with an incredible ability to involve everybody without making anyone uncomfortable. Every performance is unique to the event and he makes sure that you get the music and evening of your choice. You can see some of Simon’s photos and videos in his Gallery. Customers are always commenting upon how natural Simon is with people and how easily he guides the evening to give the best possible experience. He can mix with your guests and bring everyone together unlike many bands and discos. 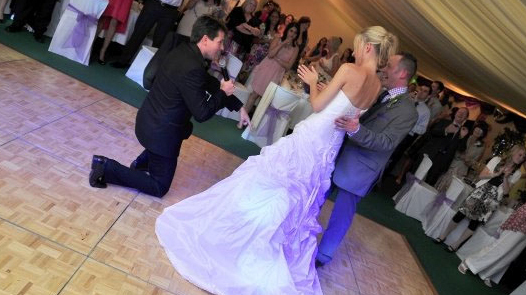 The music is never too loud and he ensures that all your guests, regardless of age, can enjoy the party. You can see what people have said about Simon on his Testimonials page. If you’re looking for a true Professional and a first class Singer/Entertainer, book the one and only Simon Rees for your event. You won’t be disappointed. To see Simon’s gig list you can also click here. 'Simon has been performing at all three of our hotels for a number of years and to put it simply, I don't think there is a better all round cabaret act in the Bay. In small venues he is fabulous at gently involving the audience, with bigger groups he is fantastic at making everyone feel special and included, and the guests rave about him. 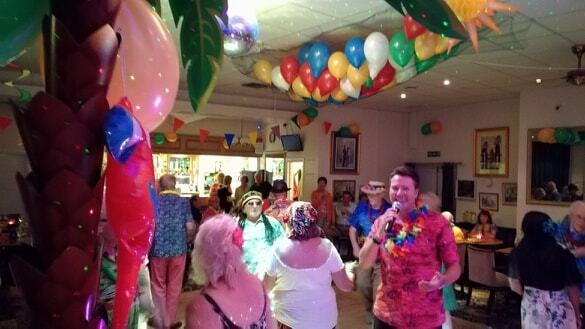 We will continue to book him as our number 1 entertainer and is highly recommended'. 'Simon is our most popular entertainer with guests often commenting with words such as ‘superb’, ‘fabulous’ and ‘talented’. He has a great voice and the skill to realise what his audience wants in a very short space of time. As an Ex-Professional Vocalist and Theatre Producer (before I came into Hotel Management) I can say that I would highly recommend him to any prospective Employer or Entertainment Venue'. 'We soon realised that Simon was an excellent entertainer. He is very charismatic, a real crowd pleaser as he sings and dances involving everyone in the room. He is very reliable and always arrives on time, he is also willing to play on if the crowd desires. Simon is extremely friendly, and versatile, and as well as being a very good singer he reads his crowd and adjusts his act accordingly. This is now the seventh year that Simon has been with us and we would certainly be happy to recommend him to anyone'. © 2018 Simon Rees. All rights Reserved.